I pushed all thoughts of sundresses and sandals firmly to the back of my holiday obsessed brain for the preview of A|Wear’s autumn collection – and came away with a whole new set of obsessions. Like that rose gold sweater, for example, which I want to wear tucked into the pleather midi, immediately. Set off by the mahoosive black or tan shoppers that I somehow forgot to take a photo of. 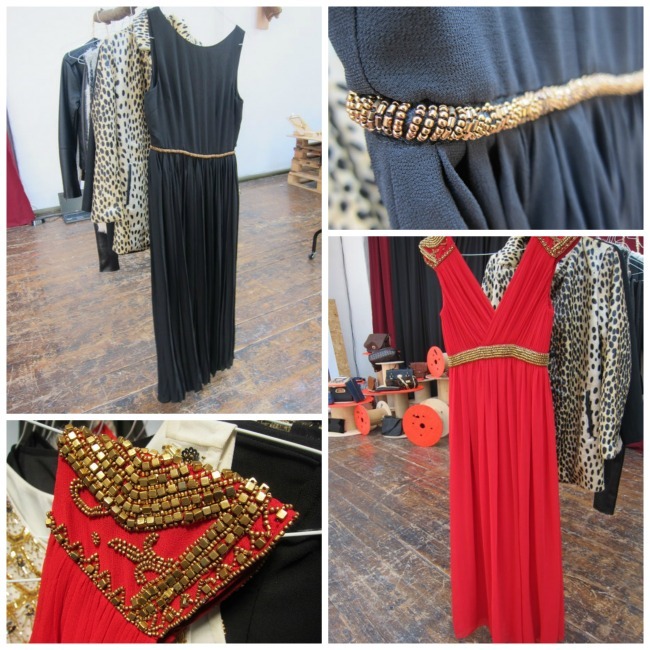 And then at night-time I’d like to change into the black maxi with gold detailing at the waist – just look at it, it's delish! – but sadly I'll have to wait til October for that, as it’s part of the Christmas collection. Everything else is in store now, or landing over the next couple of weeks. 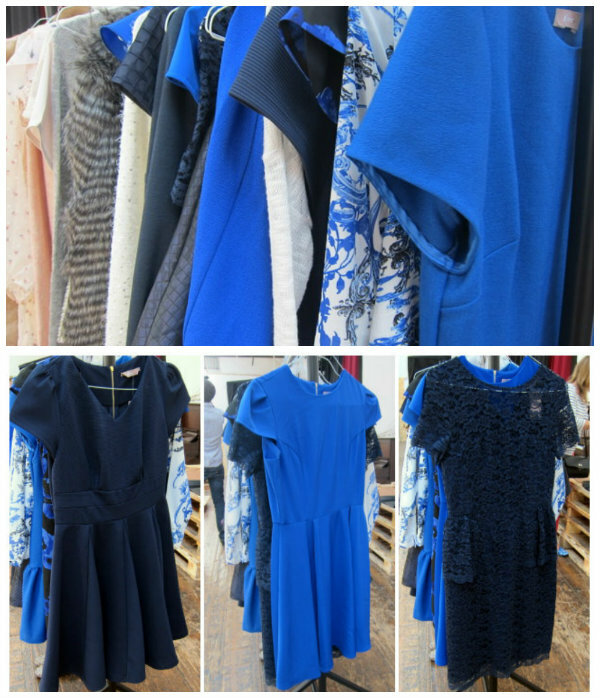 Elsewhere, the little blue dress reigned supreme, with prices ranging from €45 - €55, and there were cozy sweaters a-go-go, though sadly not too many jackets or coats on display (my new obsession). There was however this lovely pleather sleeved coatigan (€55), which I took quite a shine to. As usual, A|Wear's accessories were strong and the statement flats are particularly tempting - they're €40 a pop. 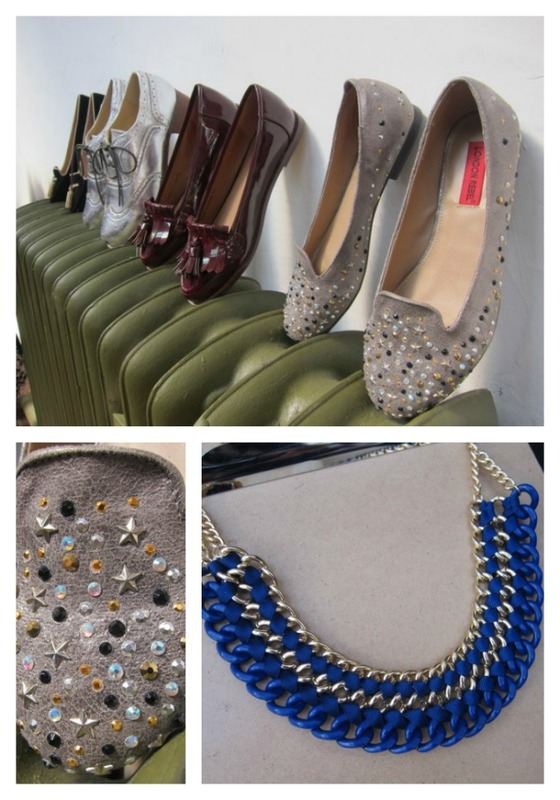 Choose from sparkly or studded slippers, metallic brogues or patent loafers - very Alexa Chung. Words cannot express how much I desire the rose gold sweater, midi skirt and the heavily ornate maxi dress!!! I have the want for that blue necklace, rose gold sweater and that huge snugly snood in the first picture. I love that this cobalt blue is back in fashion! The golden jumper looks great too. Autumn fashion is the best! I love that first outfit and sweater/leather jacket. Loving the pleather sleeve coatigan, some really great stuff in Awear lately. Great fall pieces. I love everything! Love that midi skirt Emma, might have to go in and have a look it it up close. Hope you're having a fab holiday so far! Everything is fab! I'm loving the coatigan! Love everything. That red maxi dress and those blue dresses are amazing.